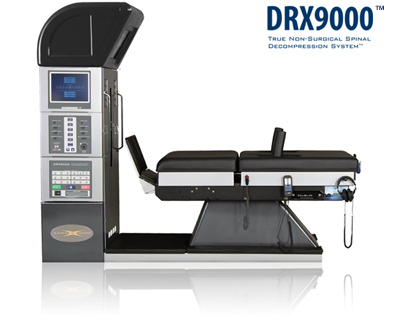 Spinal Decompression uses a patented FDA-cleared therapy device (facilitated by a computer and monitoring device). This enables the doctor to gently, safely and precisely put tension on the lower back to create a negative pressure inside the disc. This negative pressure creates a vacuum effect that actually draws the bulging or "slipped" material back toward the center of the disc. The treatment is fast, generally painless and most patients actually find it relaxing. The negative pressure also draws fluids into the disc-helping it rehydrate and heal. This rehydrating of fluids in the disc will help in decreasing your pain and help allow you to function again. We offer a complimentary consultation. This allows us to accurately determine your specific healthcare needs and answer all your insurance questions  including your questions about treatment cost. Call (561) 741-7575 to schedule a complimentary consultation to find out if Spinal Decompression can help you AND how much our often Insurance-Covered Program can save you. Contact our office to schedule an initial consultation with our Dr. McErlain to determine if you are a candidate for care with Spinal Decompression. After carefully studying your case history and exam findings, he will sit down and explain his recommended plan of action for you. After answering any questions you may have about the recommended plan, you may begin your care with Spinal Decompression.